As a millennial, you don’t think renter’s insurance is necessary. But if tragedy does strike, how #awkward would the conversation with your landlord be? Allstate Renter’s Insurance has your back so you can be your usual, entitled self, even when you write to your landlord explaining how sh*t actually went down. To get millennials thinking about maybe, possibly, being responsible and getting renter’s insurance, we create a series of print ads that were actually written by Allstate customers to their landlords. Arrogant they might be, but awkward they are not. 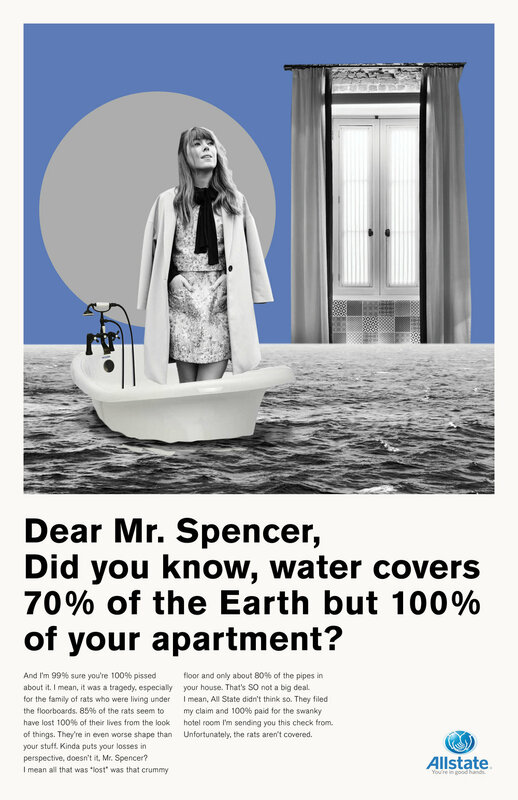 To support the print campaign, we create a microsite that helps you generate an unapologetic apology letter to your landlord in case of disaster. Just choose the type of destruction and fill in the name of your landlord to get an auto-generated letter. 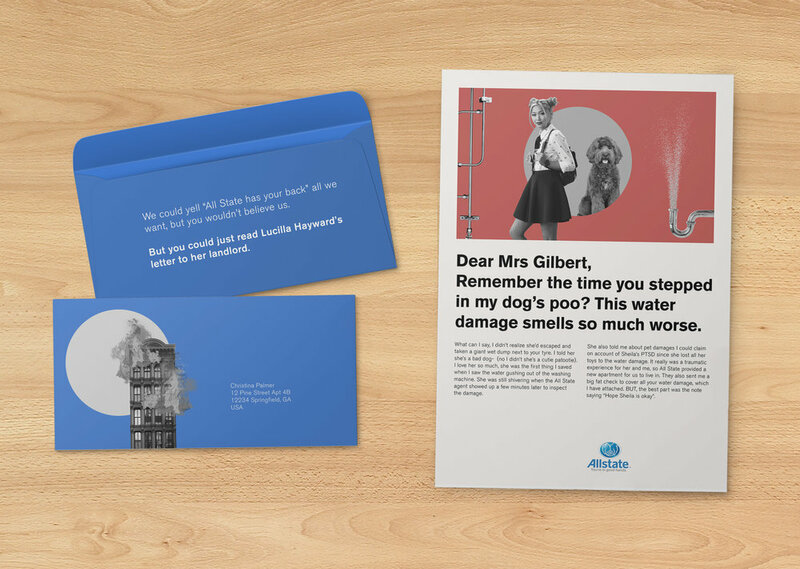 Allstate brings letters from tenants to their customers’ doorstep in the form of direct mail. The tenant’s testimonial continues and explains how easy it is to sign up for All State Renters Insurance.